This week my playlist is all about wishing you a Merry Christmas or a Happy Holiday Season! I am so thankful and appreciative of my blog, twitter, Spotify, and Google+ followers, thank you all so much for the support. I dug deep in the memory banks for many of these songs, I hope you will enjoy the playlist and happy holidays! You can catch up on my complete list of The Best Albums of 2016 HERE. Last week's playlist was my Best of 2016 “The Best of the Rest” playlist, you can listen to it HERE. 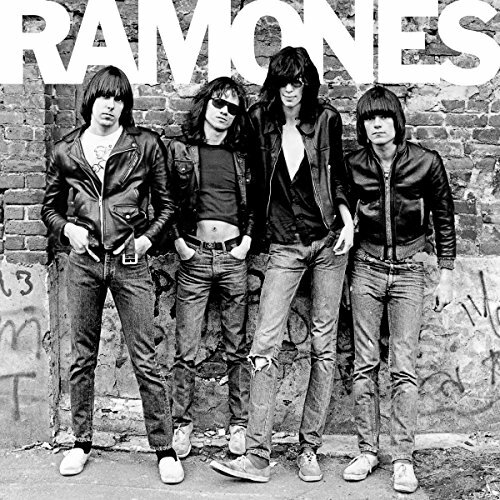 The Clash and Ramones are at the heart of my love for music and of this blog (I hope). I went back and forth on this version or the Vandals version, I wanted a good mix of gender and styles, so I went with No Doubt. Shoot me, I am a ska guy from way back. Bosstones aren't my favorite (that would be The Specials) but, it is a good tune. Had to represent Detroit! Go get em' Jack and Meg! I mean come on, I was in college in the 80's, I am a mark for the PSB's (shhh). And yes, this song does sound a bit like a Disney Parade song. By far my favorite Christmas song of all-time. It takes some talent to start your song from inside a drunk tank and still make it seem beautiful and poignant. Sure, the language is a bit dodgy at times, but so is Shane...Kudos to Shane and Kristy for a truly amazing duet. What albums were new to you?